Here at Jenkins DME, we receive a lot of questions regarding who can use a stair lift or what types of staircases can accommodate a stairlift. 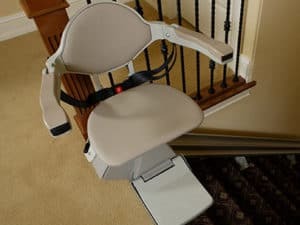 Below are the answers to two questions about the types of stairlifts that can be installed on different staircases, and who would be a good candidate for a stairlift. Do you have a bad knee from an old sports injury? Or, a bad back from a motor vehicle accident? 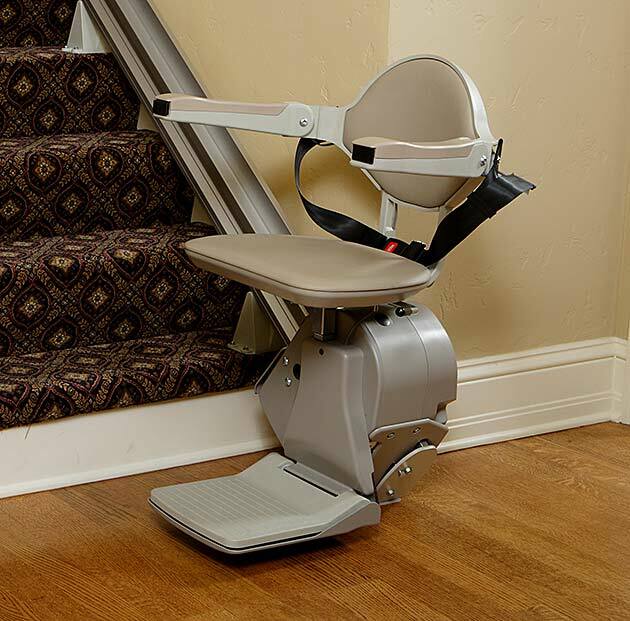 People of all ages struggle with stairs and can be stair lift users, not just your grandmother. Pain can affect anyone, and does not discriminate based on age. 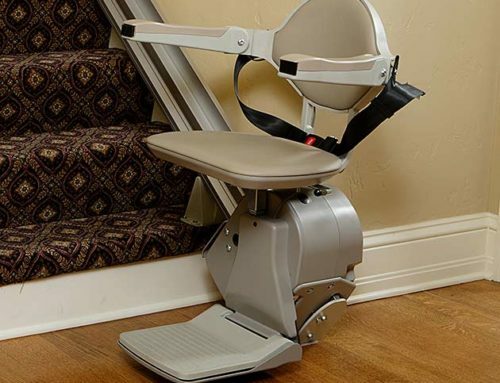 A stairlift can be an easy way to help increase your mobility and allow you to enjoy your home again. Our stairlift customers enjoy unparalleled ease of mobility and access to all areas of their home where a stair lift is installed. Will a stairlift fit my stairs? There is a stairlift to fit virtually any set of stairs regardless of the length, curve or width. There are two basic types of stairways: straight and curved. If you have a single flight of straight stairs, a straight stair lift will work for you. Any other type of staircase including stairs with intermediate landings will require a curved stairlift. Jenkins DME will help to determine which stairlift will work best for you. Jenkins DME installs and services Bruno stairlifts in the Central Pennsylvania area. Contact us today for a free in-home quote!